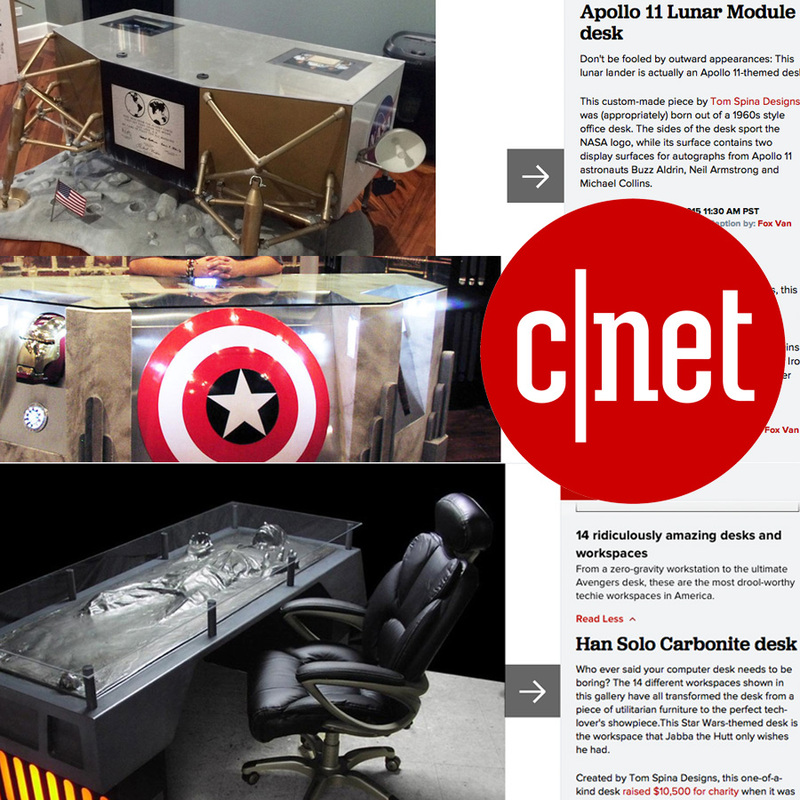 CNET published an article of 14 Ridiculously Amazing Desks and Workspaces with 3 of our desks. 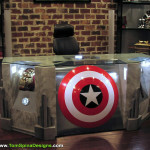 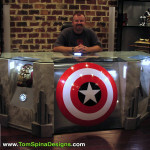 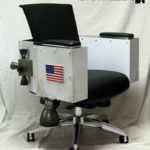 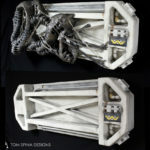 They featured our Han Solo in Carbonite desk, our Marvel Avengers Desk and Apollo 11 Lunar Module desk). 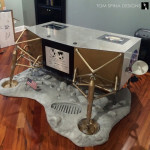 We were so honored to not only have three custom furniture pieces included in that list but to have the Han Solo desk take NUMBER ONE honors!